Now in it's 9th year, Clerkenwell Design Week is one of the highlights of our calendar. We've been excitedly looking through the preview press and website and accepting invitations in preparation. Don't forget you can follow our Twitter and Instagram feed through the week (22-24 May). There are several big venue shows at CDW. We'll be spending a while at Light (held at Fabric) as we can't get enough of good lighting inspiration. Other must visits arePlatform - a showcase for emerging talent (House of Detention), Design Fields for all the big players (Spa Fields) and the self explanatory British Collection (Crypt on the Green). 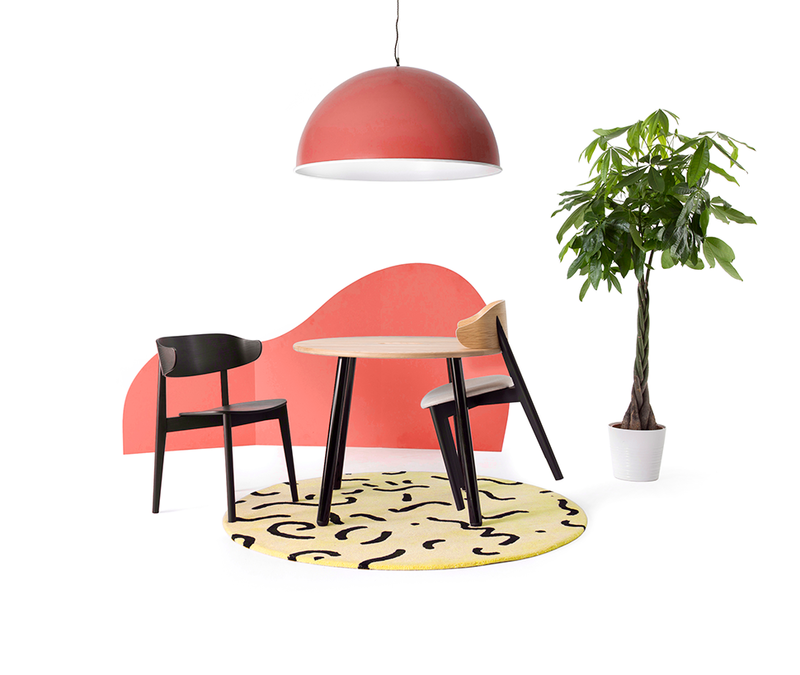 We'll be checking out the latest collections at MUUTO (see pic), deVOL, the new deadwood space (see pic) and MOROSO. We'll also be sharing a celebratory drink with the teams at Icons of Denmark, Milliken and Established & SONS. Meanwhile at the MARK Product showroom we'll be going to a panel event on Thursday evening at 18.30, where they will be discussing A Place for Plastic. The discussion of whether or not there is a place for this product in the future is probably the hottest topic of the year and will surely affect every industry eventually. Expect installations from TDO Architecture, StudioDA and Studio 8Fold around Clerkenwell. Oh yes - all your bases are covered at CDW! As part of the CDW Fringe, EMULSION are presenting two events to reconnect you with the Clerkenwell neighbourhood. Cultural expert Mr Londoner will be holding In Sickness & In Health walking tours on Tuesday and Thursday. And on Wednesday, Emulsion will be hosting a spiritual meditation session with Natalie Cristal Morrison. And if you see a product that you simply must have then it will be worth checking out the Design Best Sale Shop at Fabric during the week too.